All Littlerock homes currently listed for sale in Littlerock as of 04/21/2019 are shown below. You can change the search criteria at any time by pressing the 'Change Search' button below. If you have any questions or you would like more information about any Littlerock homes for sale or other Littlerock real estate, please contact us and one of our knowledgeable Littlerock REALTORS® would be pleased to assist you. "Custom Home on 4.5 Acres with a 1500 sq ft Barn both built with nearly 10 inch thick walls made of concrete and steel. There is a 4000 sq ft High Tunnel and a 12'x36' greenhouse with approximately 2 acres of tillable land in a fenced field with 4.5 acres total land. This is the perfect location to grow vegetables or specialized Herbal Crops! For those GROWERS looking for more secluded but close to populated city area's then look no further because, this is a great location! This property has a 3"
"Panoramic mountain, desert and city views from every window grace this 2,133 sf, 2008-custom built Juniper Hills home on 4.28 acres. Sold with adjacent 1.975 acre unimproved parcel, for a total of 6+ acres, protecting ultimate privacy and unobstructed view. Design features massive open floor plan with endless full picture windows embracing full-length 50 x 11' sheltered front deck, marrying gourmet kitchen with dining, relaxing, entertaining; master and junior oversized bedrooms each with own ba"
"Amazing Custom built Ranch! !,This is a must see house, everything was built with love and care. Features are 4 spacious Bedrooms and 3.5 Bathrooms with a total of 3, 246 sq. ft.. Nice open Living room. Custom designed kitchen with many oak cabinets and large pantry, granite counter tops with special design backsplash, cook top, buit in oven, ceramic tile flooring. Large family room with fireplace. Formal dining area, Master Bedroom with huge closet and oak organizer, master bath has a jacuzzi tu"
"Wait don't miss this just announced Littlerock Ranchos Property. 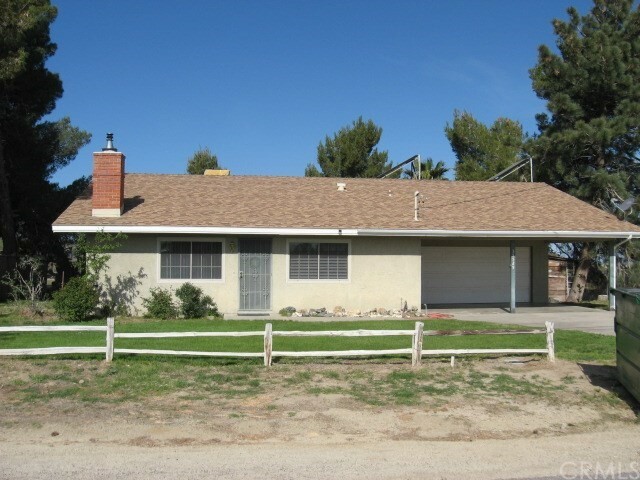 This single story 4 bedroom 2 bathroom ranch house sits on almost 1.5 acres. This home is move in ready and waiting for you and your toys. You enter into this spacious home and immediately notice the attention detail and the open floor plan. The living room is large with a fireplace. The kitchen has lots of counter space and ample storage. The dining room is adjacent to the kitchen and open to the living room. The bonus room off of"
"ADORABLE HOME. Single story on 1 acre. 4+2. 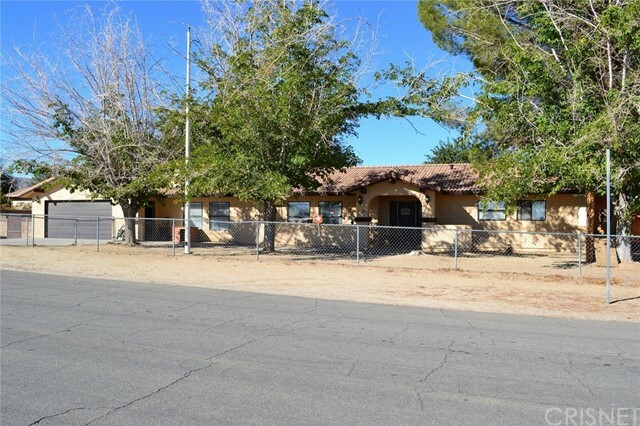 Clean and well maintained home with additional (2) guest rooms (permitted) Ceiling fans. Front and back yard with automatic sprinkles, completely fenced. Equipped with carport and garage for cars. Back yard is unique. Walkway of brick and concrete, Back yard is a place to enjoy your free time with a lot of plants, trees, table & bench. Recreation area for kids. Room for your pets/animals. Come check it out." "Park like setting featuring 1,862 sq. ft of comfort that shows like new. 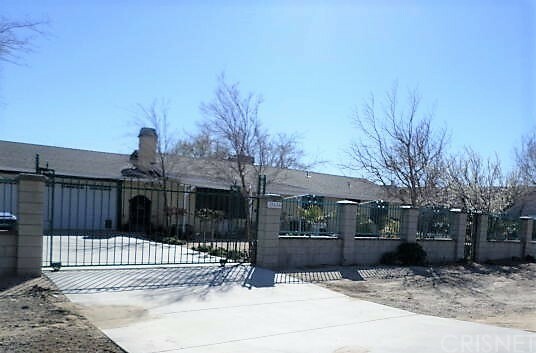 This property has access thru main street and back access gate, on a corner lot. Upgraded and turn-key with 4 Bedrooms, 2 baths, it shows like new. Beautiful new flooring, recessed lighting, mirrored wardrobes and lots of windows for natural light. 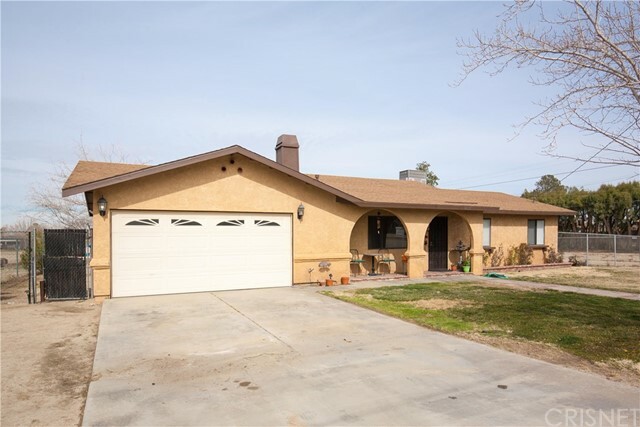 The spacious kitchen features Granite Counter-tops, large breakfast bar and It also features newer upgraded cabinets with pull out drawers, plus a view of the tree lined back yar"
"Beautiful-well maintained, ranch home with ample room for horses or other animals (just under 1 acre). Traditional style, w/upgrades. Solid, double oak door entry into a spacious, warm traditional living and dining rooms. 2-bay windows with bench seating (one w/storage). Wood floors from entry thru-out living,dining and hallway. New carpeting in family rm and bdrms. Kitch, bthrms & bonus room with ''wood-grain'' tile flooring. Family rm has floor-to-ceiling brick fireplace and custom wood ceilin"
"Great Littlerock ranch Almost 1 acre on park like yards with room for animals and family entertaining. 3 lg bedrooms 2 baths fireside family roomBeautifully upgraded kitchen SS appliances Pantry that could double as computer station. Lg master with huge walk in closet. French doors leading to large covered patio.This home is priced for a fast sale. Hurry before it is gone." 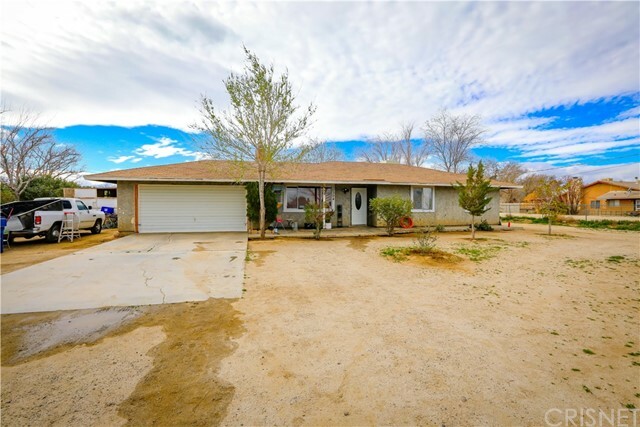 "Welcome to this perfectly priced, move-in-ready Single Family home - Horse Property with stalls and back entrance for RV Parking! 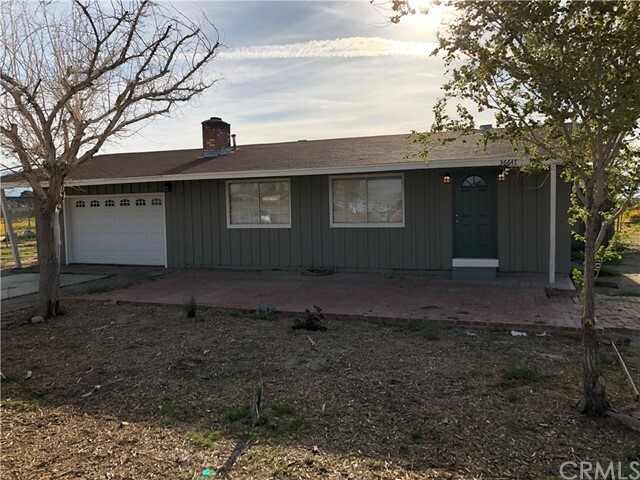 This single story home has 4 Bedrooms, 2 Full bathrooms, open floor plan with cozy living room with fire place, updated kitchen with family eating area. Enjoy your morning coffee in the Sun Room with the natural light of the morning sun! The sun room leads into a spacious back-yard with huge pool area with plenty of room for outdoor eating and entertaining. 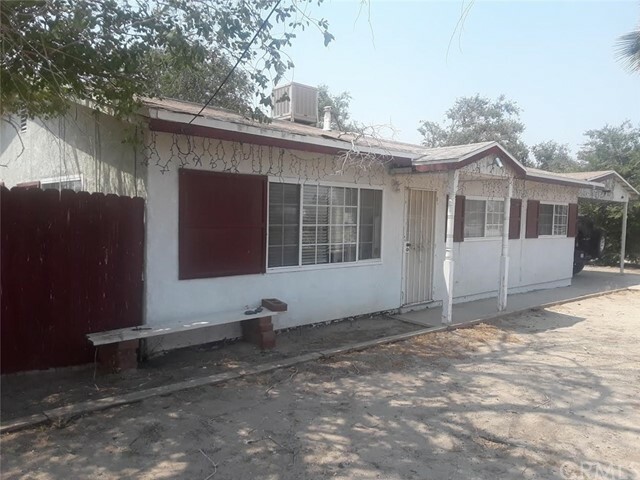 This prope"
"Come take a look at this nice corner lot home with RV access.This house is well maintained and in move in read! 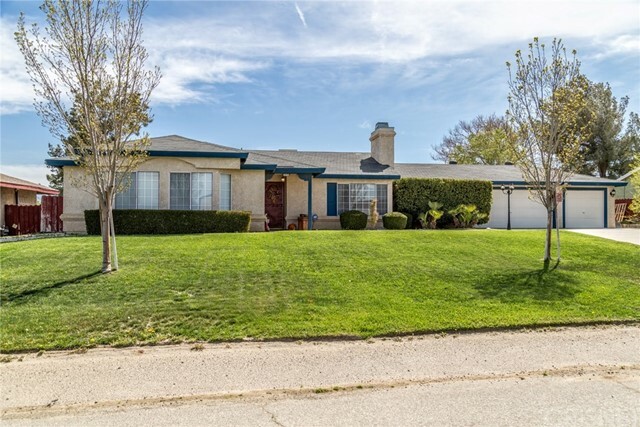 It features 3 bedrooms, 2 bathrooms (master bathroom was totally remodeled January 2019) kitchen, dining room, living room with fireplace, 2 car garage with laundry hook in garage. New carpet in all bedrooms,new interior paint,custom floors. Covered patio, large fire pit. 3 sheds 1- 10 X 12, 1- 10 X 20, 1 - 25 x 12. Room to expand and add a potential dwelling unit. Side RV access. Come"
"This property is about lifestyle. Hiking, Skiing, Fishing, and Still Commuter friendly. Enjoy the lights from Mountain High ski 3 ski resorts (Rated 4/5 Stars by Trip Advisor) only 40 minutes away. Do you like hiking? Devils Punchbowl (Rated 4/4 stars by The Outbound) is only 18 minutes away. This home is close enough to go out for the evening or on a daytime adventure, but rural enough to see horses walk along the streets. Don't forget to tip your hat as a way of saying hello. 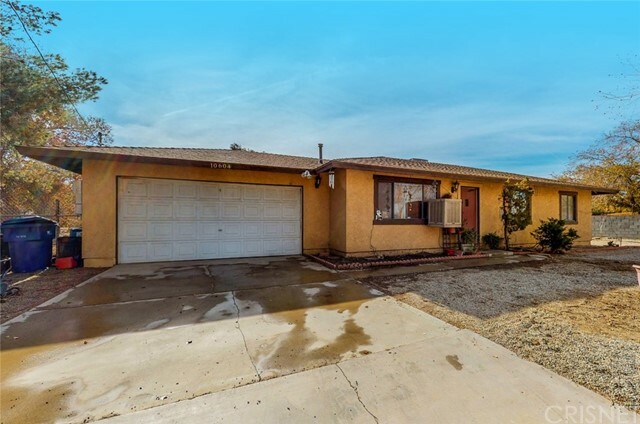 The added square "
"Marketing Remarks: Come check out this single story Charming Littlerock ranch home, Featuring 3 bedrooms and 2 bathrooms. Big living room with fireplace, wood looking floors, Model home kitchen with recessed lighting, upgraded counter tops and plenty of cupboards, huge built in island opened to living and dining rooms.3 car garage. Home sits on almost an acre of usable land, Horse property so bring your horses bring your toys and even your RV. 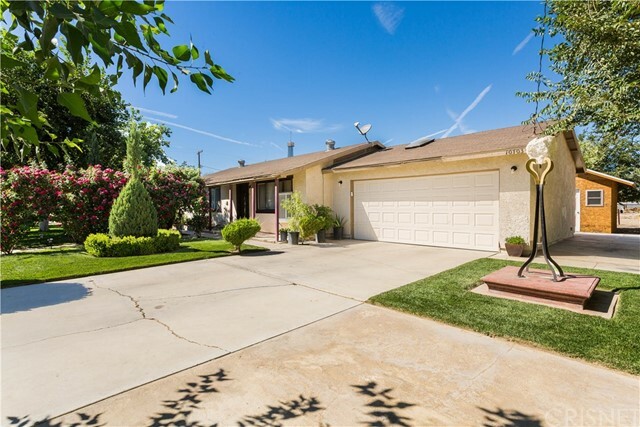 Property is fully fenced and cross fenced even the f"
"Charming corner home within walking distance to public transportation AND SCHOOL!!!! 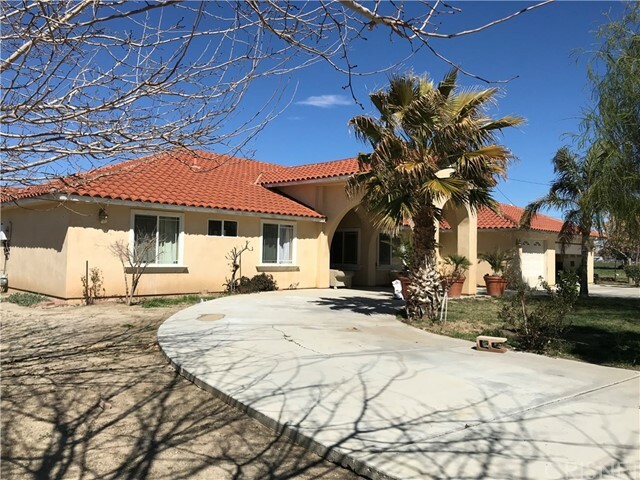 This home boasts tile throughout living room and hallway, fire place in living room, large master bedroom with walk in closet, central air and heat, tiled hallway bathroom and lots of storage space. Endless possibilities for the back yard since you have access from many angles." "Beautiful Littlerock home with one of the best views of the mountains! 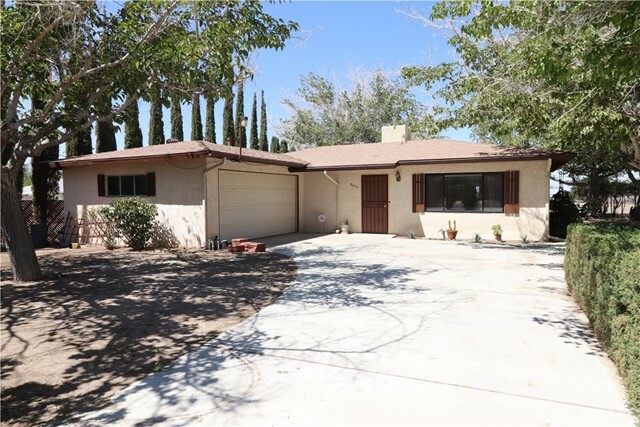 This large single story ranch home features an open, split floor plan, with new wood laminate flooring flowing throughout the living areas. The formal living room is adjacent to the family room, and the kitchen is highlighted with a custom finished bar and dining area. Walk into the spacious master suite with private bathroom and walk-in closet. 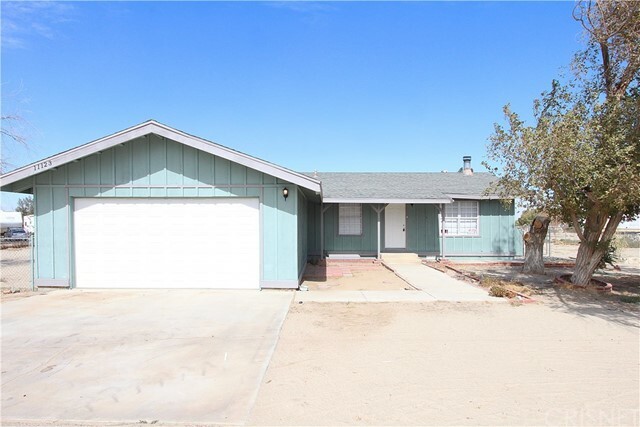 The 2 additional bedrooms on the opposite side of the home with a convenient jack"
"This charming 3 bedroom, 2 bath ranch style home features a large open floor plan. As you walk in to the home you ll see a large living-room, formal dinning room and a nice open kitchen with plenty of cabinets, granite counter tops and built-in appliances. As you continue on, your find 2 spacious bedroom with nice size closets and a full bathroom. The 3rd bedroom is a Master suite with a full master bathroom. The home also features a 2 car garage with access to the home and backya"
"PRICE REDUCED! 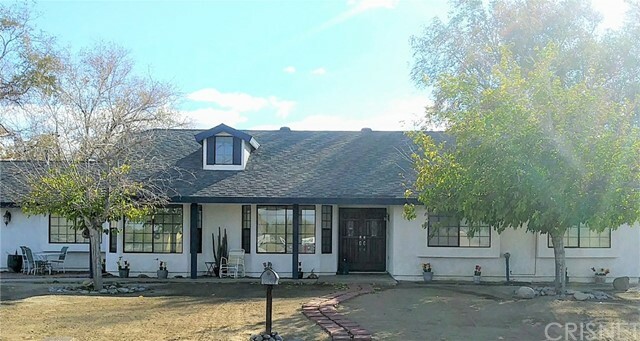 You will love this sweet country home in a quiet neighborhood with room for all your animals, toys and family to spread out on. The home has a great open floor plan with a warm fireplace in the living room, a large formal dining area for family gatherings, open french doors to the back covered patio, large bedrooms, wood floors throughout and tile bathrooms and granite countertops in the kitchen. 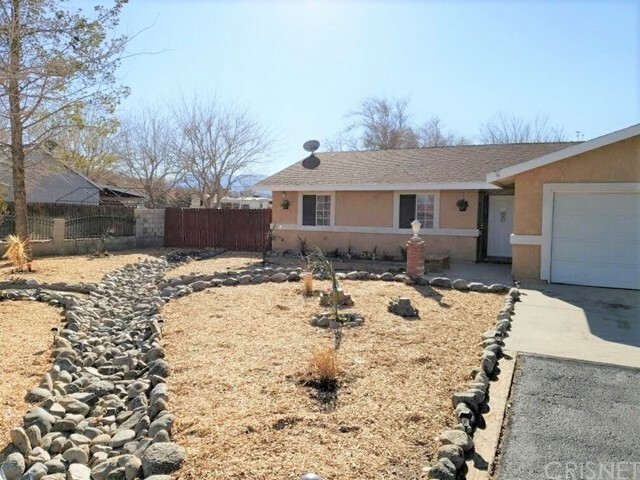 The home is completely fenced with cross fencing and has a huge RV access and hookups"
"Come and see this charming home on about 1 acre of land. The yard is fenced with a shed and big enough for a ranch or fire pit where you can sip your favorite beverage under the stars. The neighborhood is quiet and friendly. A must see for those choosing to live in Littlerock." "Charming Littlerock home is beautifully updated and move-in ready. Features NEW two-tone interior paint, NEW laminate wood flooring, NEW granite counter tops in kitchen and bathrooms, NEW stainless steel appliances, NEW vessel bowl bathroom sinks, NEW light fixtures, and more! Living room with cozy brick fireplace for the cold winter nights. Dining area that opens to the kitchen with lots of cabinet and counter space. 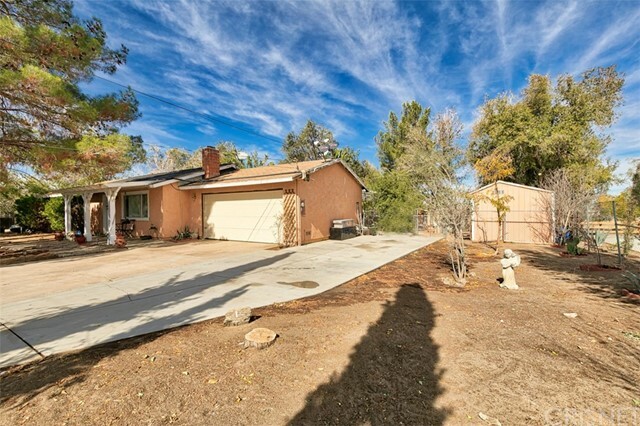 Roomy master bedroom with private bathroom and its own access to the back yard"
"Newly remodeled, single story, ranch style home on a 2.5 Acre lot. 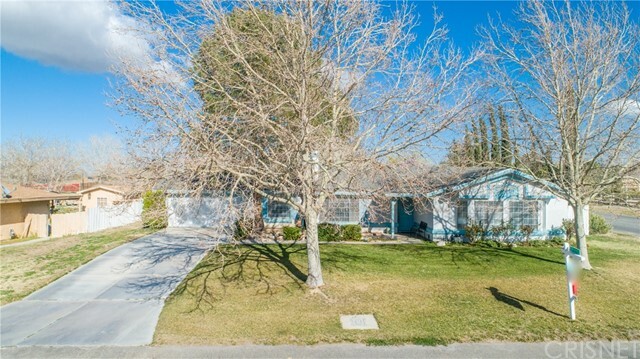 Come take a look at this updated three bedroom, two bath with indoor laundry. Just about everything is new including electrical and plumbing. Upgrades include new wood laminate floors, recessed lighting, upgraded Berber carpet, and fresh two-tone paint. New kitchen with granite counters, stainless steel undermount sink, and appliances. All bedrooms have ceiling fans. Attached 2 car garage. Large lot. Easy access to highway 138. 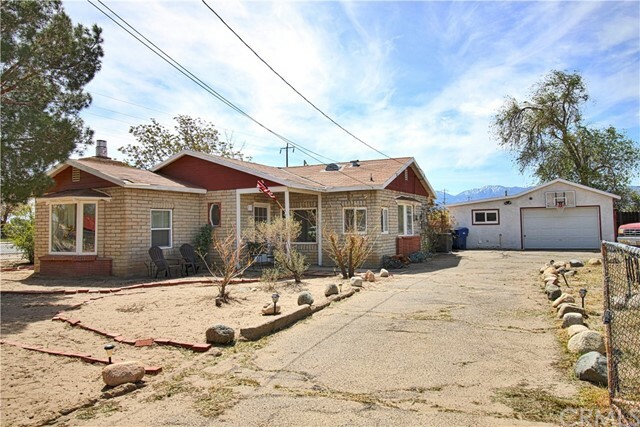 I"
"Great Horse property with RV access. Remodeled Kitchen less with granite counter tops. Larger than the average 3/2 house in the area with 1100 sqf of living area. Completely fenced in. The front yard is separated from the backyard with fence and gate"
"Good opportunity for first time Buyer or Investor!!!!" "Cute home in rural setting.Very quiet area. Nice & clean, large kitchen features corian counters. Big living room has pellet stove in fireplace for energy savings. Solar water heater also saves $$.This home has been lovingly cared for by long term owners. Big lot features many fruit trees including apricot, apple, almond & peach. You have to see this, you don't want to miss this one." "Welcome to this charming starter home. Perfect for a first time buyer or a small family, with lot's of room to expand. 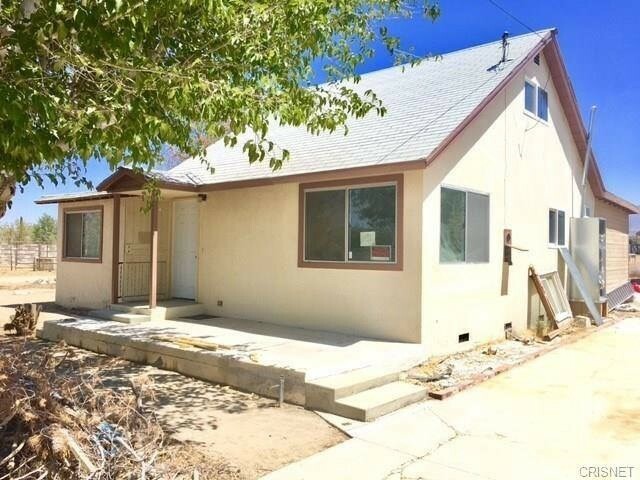 Features 2 spacious bedroom, 1 bath, 2 car detached garage with a huge lot of 32,382 square feet. As you walk in you're welcomed to a cozy living room and fireplace, with a spacious open kitchen perfect for those family dinners. With central air and heat it's perfect for those hot summer days and cold winter nights. Make this home yours today!"